We thought it was about time we did our own Nativity Play. 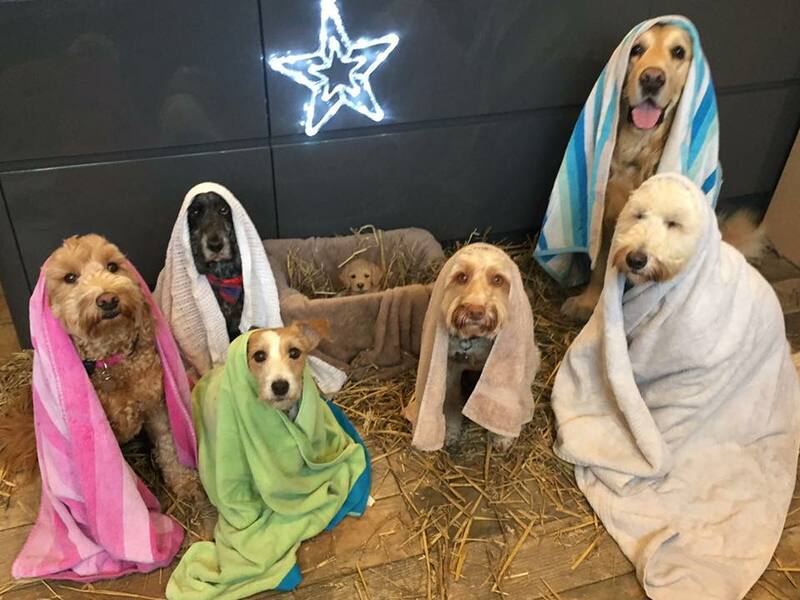 George, of course, was Baby Jesus. I’ve been casted as Virgin Mary – that I am But trying hard to look maternal. Amazing what wardrobe can do. Here’s me, I mean, Mary and Baby Jesus looking up at the star who will bring all our visitors. Ahhh, Barnaby aka Joseph has now joined the cast. 6 While they were there, the time came for the baby to be born, 7 and she gave birth to her firstborn, a son. 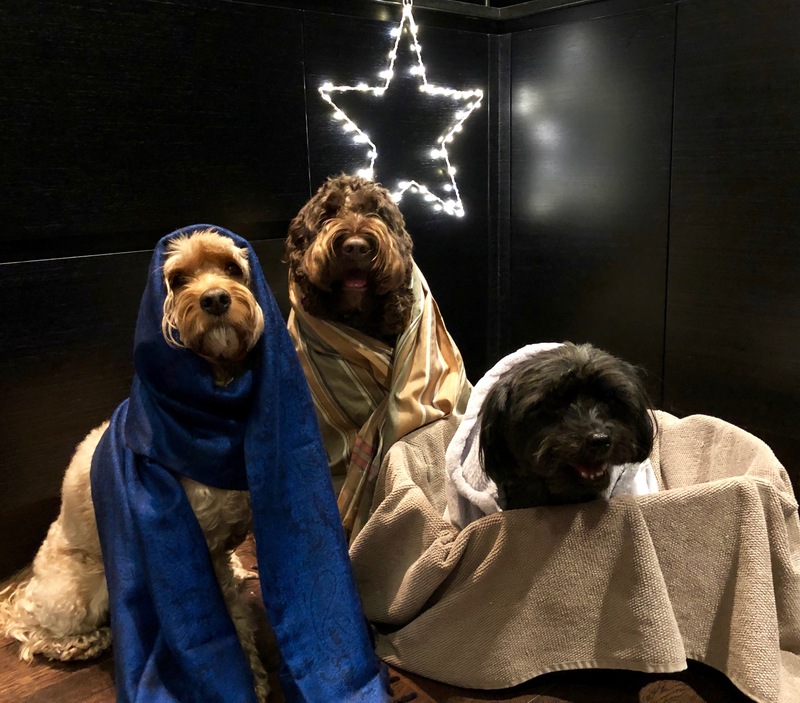 She wrapped him in cloths and placed him in a manger, because there was no guest room available for them. 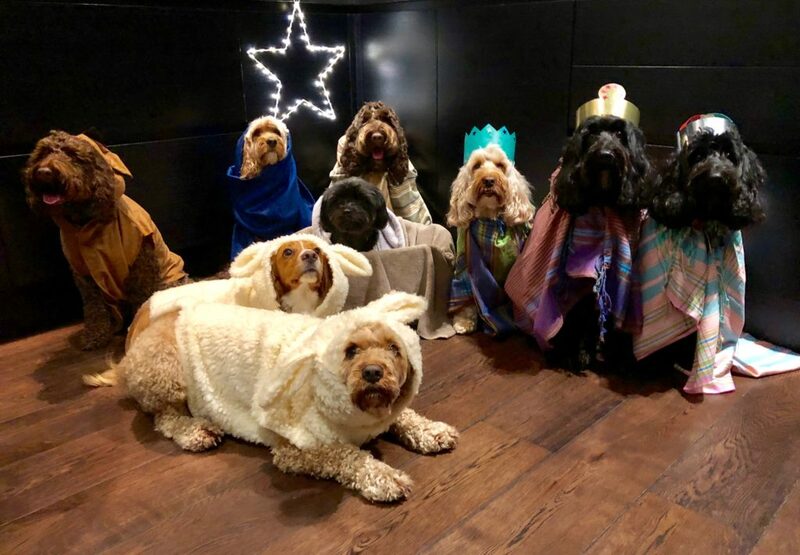 Ahhh, that explains it – the shepherds have gone to spread the word! May’s comment: The cast? 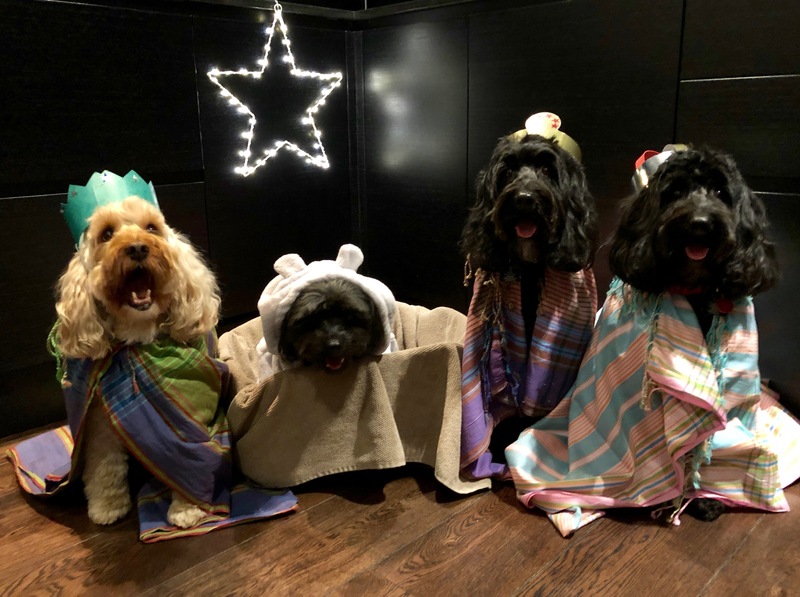 We were the SleepingRuff doodles – friends that came together through our blog and on Instagram. And we decided to do the Sleep Out together in October and since then our adventures have not stopped! 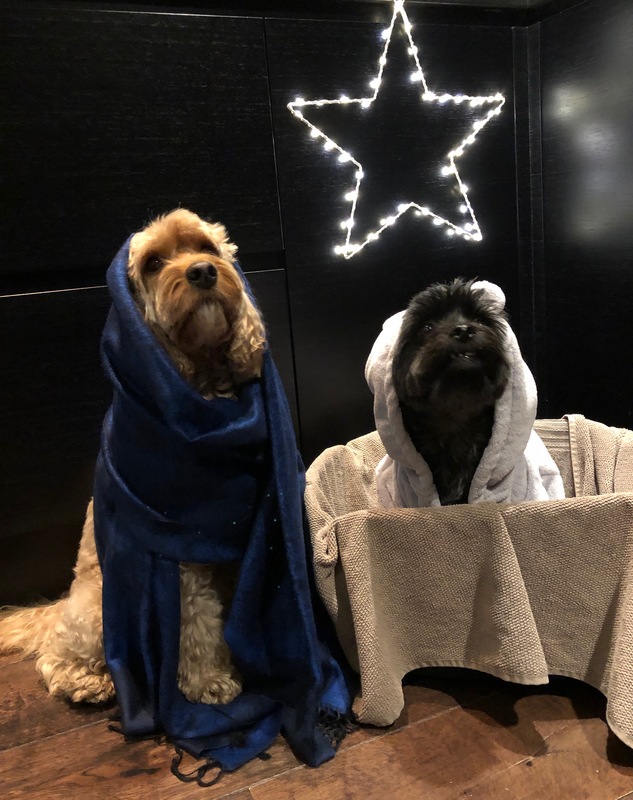 We so loved the Nativity scene that Wags to Riches had done last year that they inspired us to reenact it. Fabulous! I’ve seen many nativities, this is by far the most fun one! So cute! 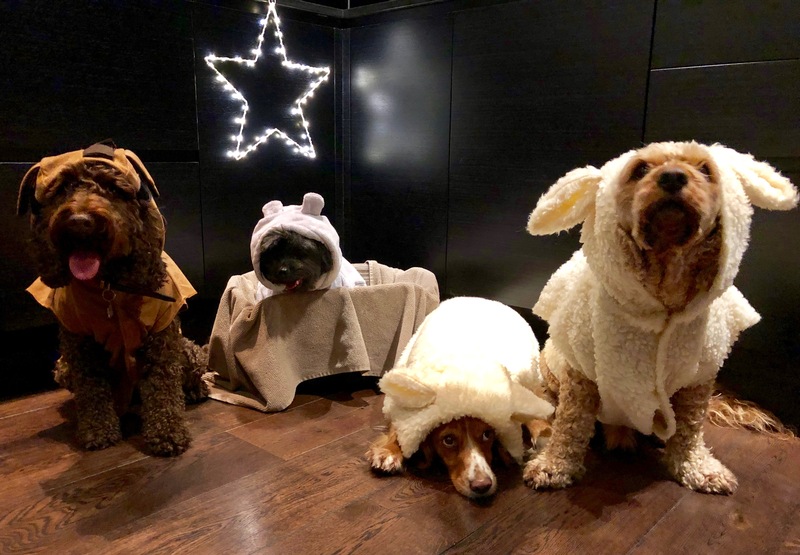 Can’t believe how well-trained your dogs are to sit so still, especially while in costumes! Thanks for sharing! 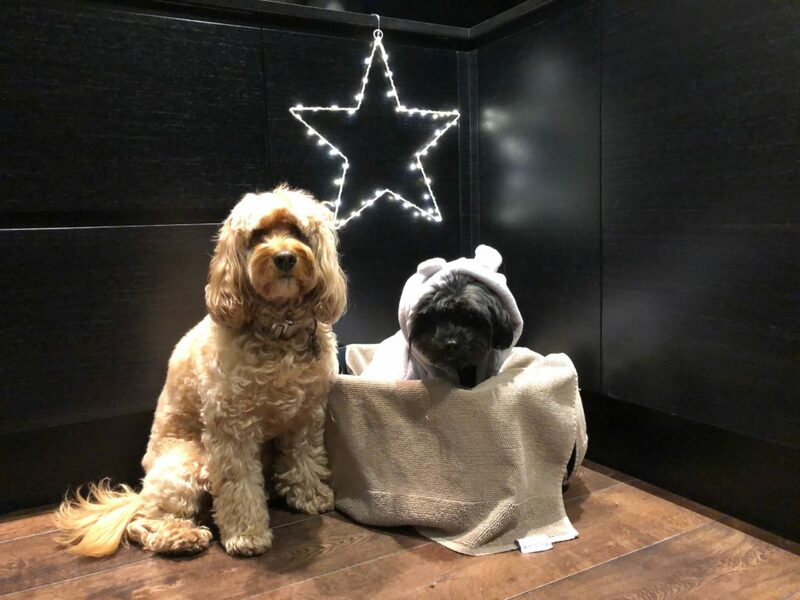 Fantastic tableau – George as Baby Jesus and Miss Darcy as Mary – perfect casting! Geoff said George should be called baby Georeus. 🤔🤗. Absolutely love this tableau. Happy 1st December. Amazing!! That’s all I can say. Amazing! Oh! 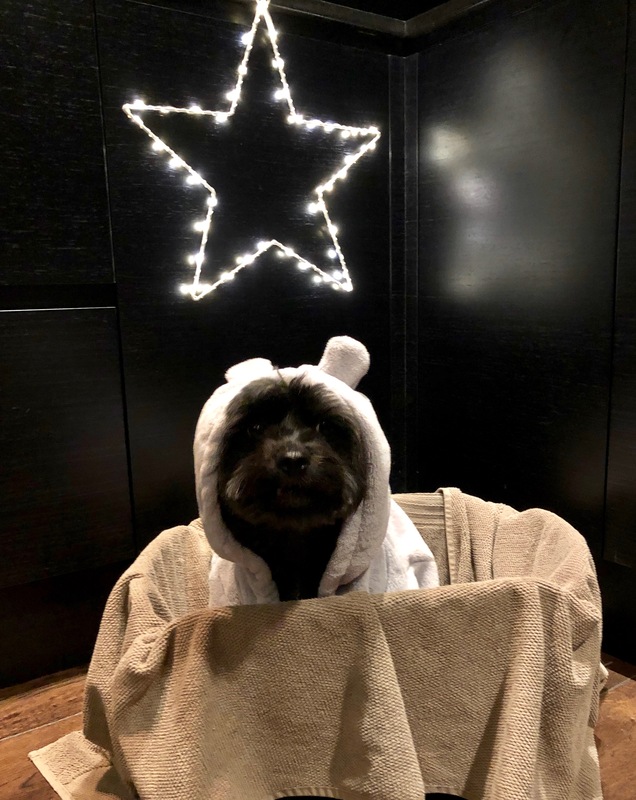 George as Baby Jesus! I just can’t even…! This is so priceless I had to show my husband. He just shook his head.